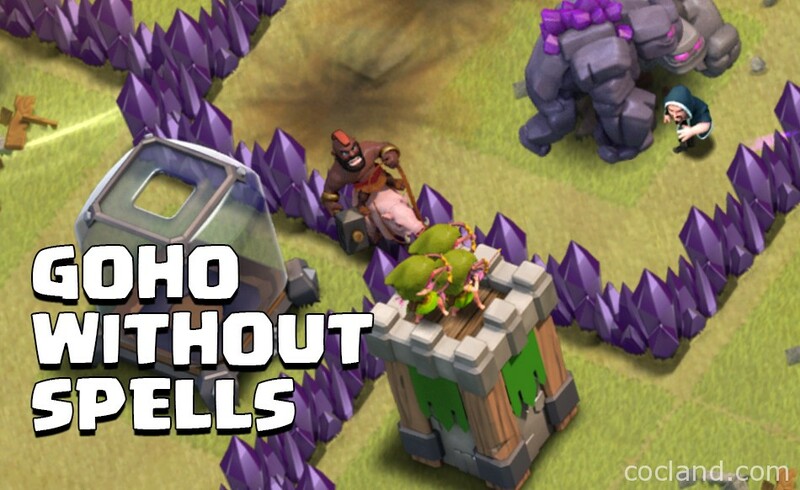 GoHo is definitely one of the most popular attacking strategies in Clash of Clans, beside Mass Dragons and GoVa. Players always use Spells to support the main army, of course. But what about when it is being upgraded? Is it better to skip the Clan Wars. Well, I think you should take a look at this small guide! Note: Before posting this guide. I tested this strategy a lot via the Friendly Challenges in Clash of Clans. I even used it in 4 Clan War attacks and the results were impressive! So, this is not lucky or something like that. This is a strategy. Videos below! The main difference of this strategy is that rather waiting for the Kill Squad to finish its mission and using Hog Riders separately, we use Hog Riders aggressively in order to lower the pressure on our Kill Squad, either before or after the entry (depending on the base we are going to attack). Then, keel reinforcing the Kill Squad with single Hog Rider until about 60% of the base is destroyed and all traps in the center are triggered. 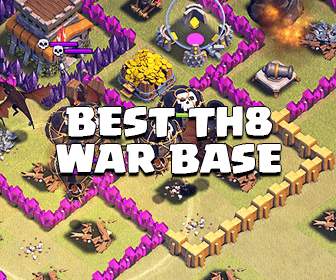 Okay so How did I 3 star maxed TH8 bases without using any Spell? Okay so how to use this 0 Spell strategy? First, you need to identify defensive groups which are covering each other, but not covered by anything else (except the Mortars). It’s great If you can engage all buildings in that cluster at the same time. The deployment strategy is pretty simple: If any defensive building is targeting someone, send a lone Hog inside (or two) to destroy it, unless it’s a part of a cluster you are not ready to attack yet. I usually send either 3-2, 3-2-2 or 3-2-2-2 Hog Rider deployment for the non-distracted cluster. It is not necessary to use a bigger groups because 1.5 Hogs per defensive building is enough. While using Hog attacks, Wizard Towers are the worst enemy after Skeletons. Attack it from several directions If possible. If you have any Healing Spell in you hand, just drop it here and problem solved. If you don’t have any spell, send a big pack of Hog Riders or the Clan Castle of 5 Hogs to converge this Wizard Tower. You will also want to do the same thing with Tesla Farm. Always be lookout for exposed Air Sweepers, Air Defenses and Mortars, especially in the core, because they may lure your Hogs inside to the hidden place of DGB. Send 1 Hog to deal with each. The goal of Kill Squad in this strategy is to take out the defensive Barbarian King, distract defensive buildings and do the cleanup job. All you need to do with them is to remove all incoming DPS as soon as possible. Keep your Wizards alive! You will also want to activate your King early, better than late of course, because we want all the damage we can get on entry. Kill the defensive Barbarian King, remove all incoming DPS from your Kill Squad, remove all standalone clusters and trigger all traps in the center. If everything is done correctly, after the first stage, 60% of the base will be destroyed. 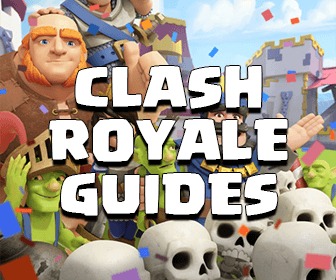 You should have 10-14 Hogs, Clan Castle Hogs, Golems, King and the Wizards alive at this time. You will want to wait for your Kill Squad to dig further and distract backside defensive buildings. If you have Spells, it’s even much easier, just like an obvious 3 star win! Sounds complex? Yes, it is a little but just watch the videos above and you will get it guys! Don’t forget to practice a few times via the Friendly Challenges!